Tuesday September 9, 2014 We have arrived in our 20th country! 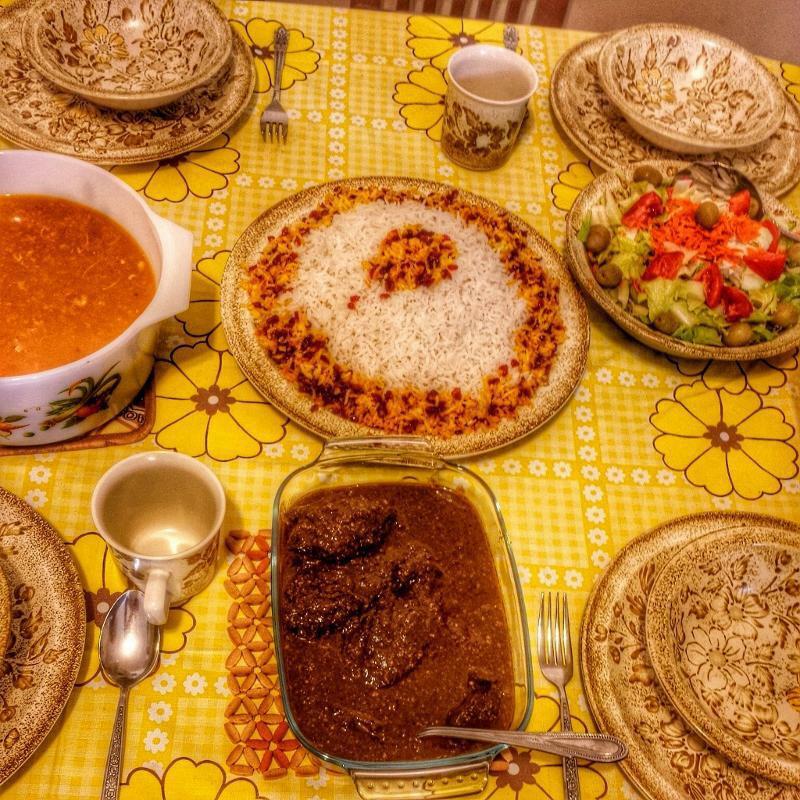 Our last few days in Iran were wonderful with Ehsan’s family along with meeting and sharing lunches and dinners with many friends and relatives. 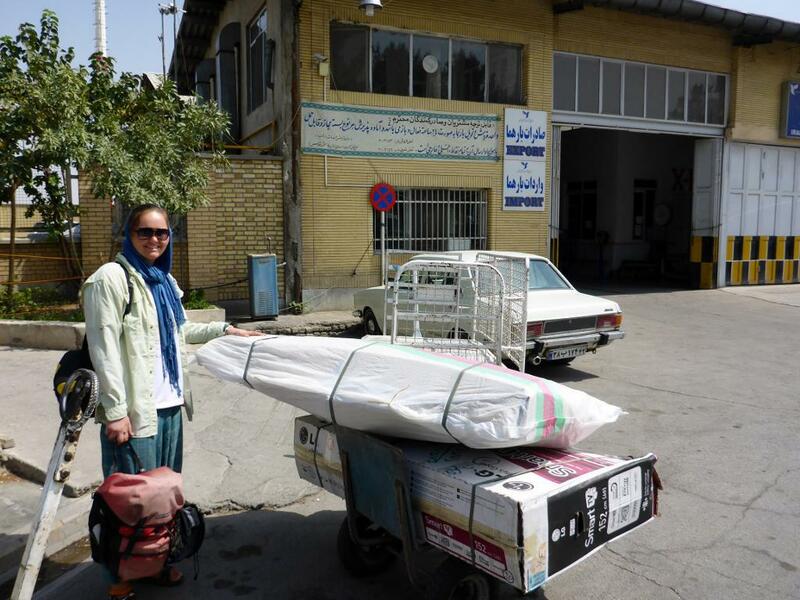 So our Iran journey ended with the way it started, great hospitality. It was sad and emotional to leave as we had many new friends that we may never see again. I was really happy to see how Jocelyn was taken in by Nooshin (Ehsan’s sister) and friends. It was like they had known each other all their life. We arrived at the airport three hours ahead of our 7am departure time. We were very glad for the extra time as it took 2 hours and 20 minutes to get to the gate. It was a scramble to find the right cash for the extra baggage and then to pay $30 each to extend our visa as we were three days over the expiration. Passport control for checking out was a real mess with the supervisor under a constant barrage of arguments with other passengers. He was way overworked and no one should be able to just walk in to his office and complain. That would never happen in America. The bikes were packed as freight two days prior so we had 10 bike bags with us. 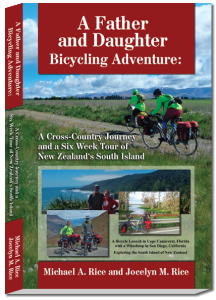 Each bike cost about $100 to pack and fly and our extra baggage fee was $66. Total cost of the flight to Dushanbe was under $700 which is way under the cost of $1,150 estimated for Turkmenistan and Uzbekistan visas. The flight was very pleasant and about 90 minutes later we landed in Tajikistan on a very hot day. 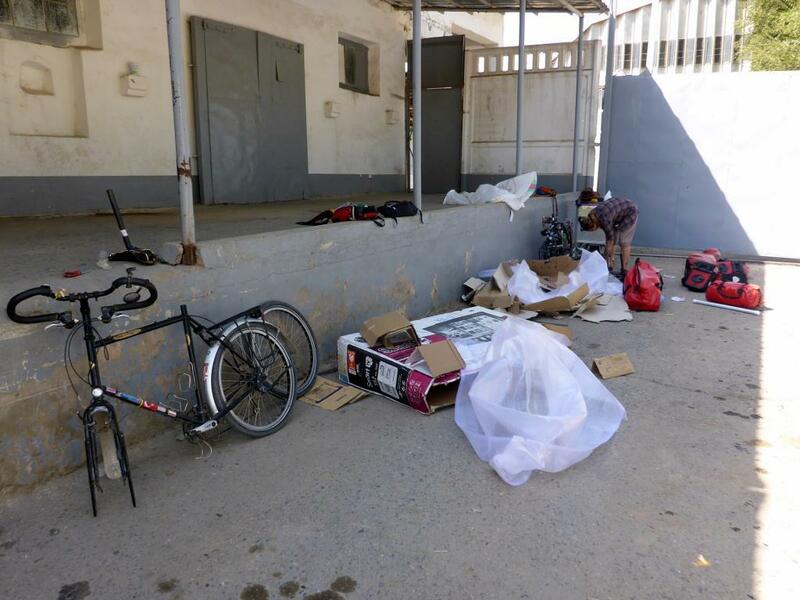 Checking in was easy and we found our bikes in the cargo office. 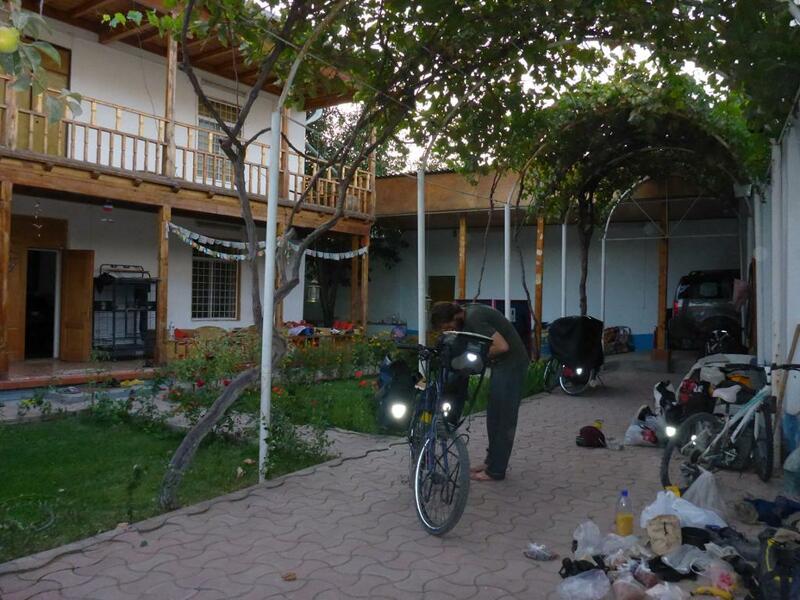 The next two hours were spent re-assembling our bikes then we were off to find our warm showers host for the next several days. 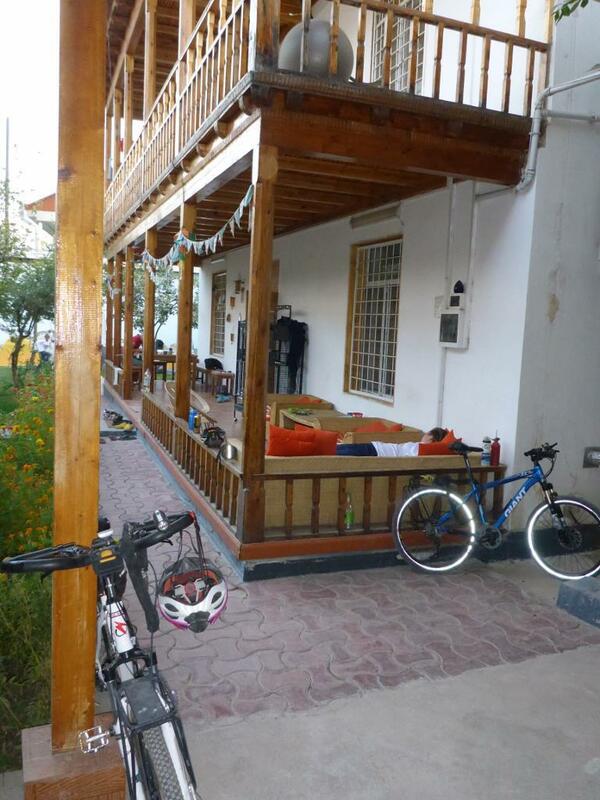 Veronica has a large house with court yard and is open to host bikers heading east or west. 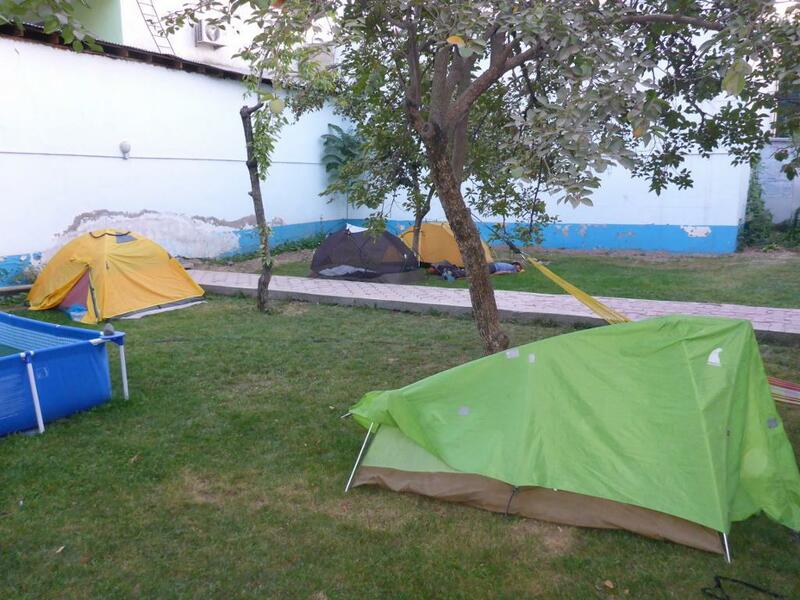 She is very generous to open her home like this with most pitching their tents on the lawn. The entire yard and house is gated so it is very safe and comfortable. Last night we talked with several bikers about our next step. 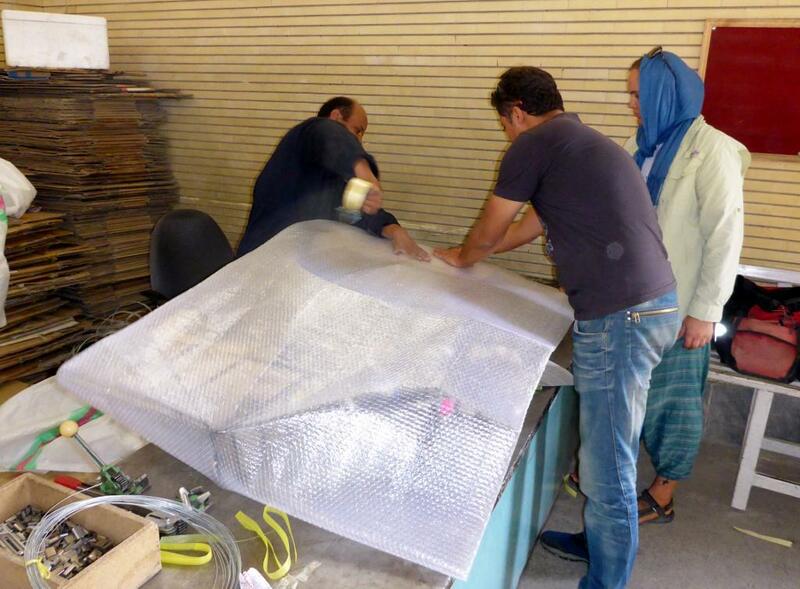 While in Turkey we mailed our cold weather gear to a contact here in Dushanbe. 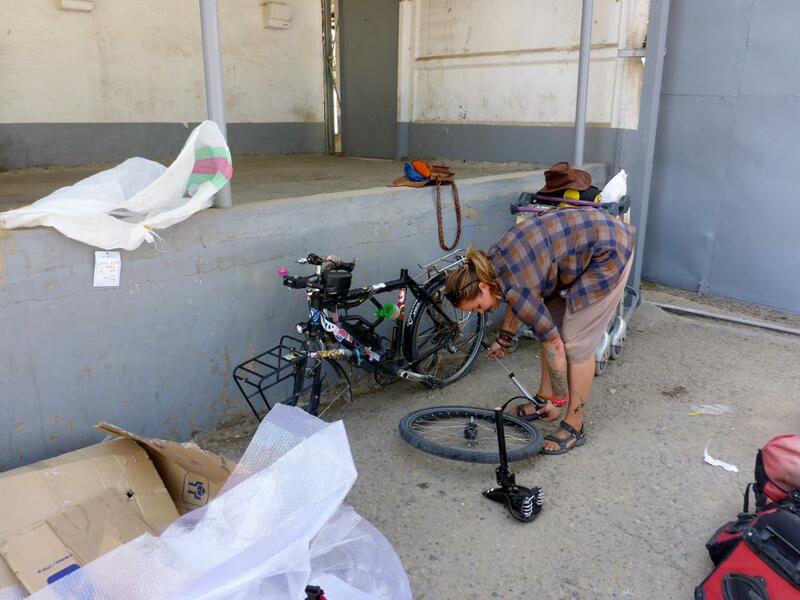 This person is currently riding the Pamir’s and is not expected home for another week so we will be waiting for that. 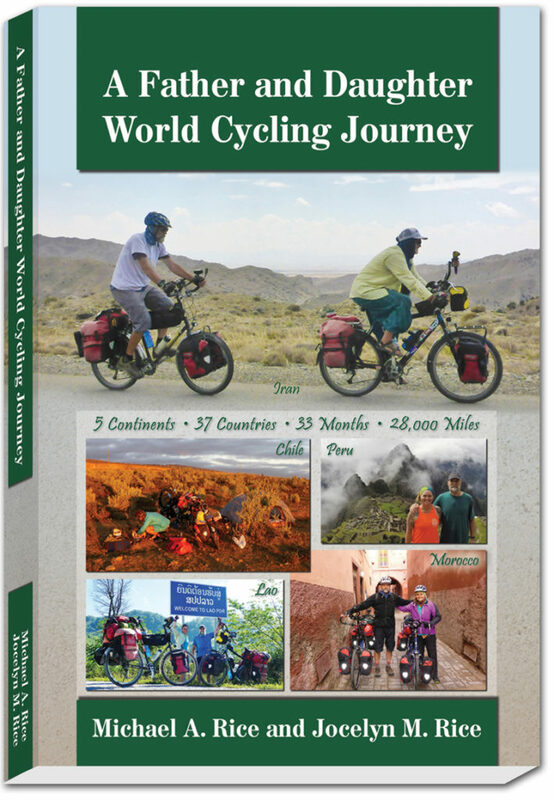 We will head to Bishkek, Kyrgyzstan either through the Pamir’s which is a very popular cycling route along the Silk Road or take a more northern route. We now also have a better idea of how to explore the immense country of China. It will probably involve a train trip to the east over the immense desert area then a cycle south towards SE Asia. Due to family obligations our world journey plans have changed such that it will no longer be continuous to the end. The rest of September will be spent in the “Stans”, October is for China, and November for SE Asia. We want to finish Asia before Christmas as we do not want to leave the bikes and then return. Jocelyn needs to continue her schooling and will take classes during the upcoming Spring semester. The following May we will continue into South America. In this way we can be home for 5 months as I feel I have been neglecting my wife and home. In the last three years between cycle touring and working in Antarctica I have only been home for 5 months. 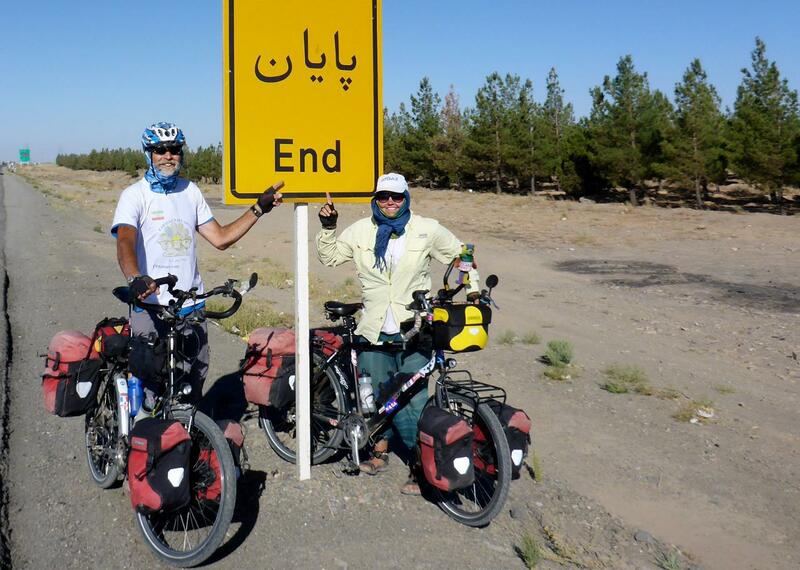 Our 1,000 mile bike ride across Iran is over. It’s common to feel a bit changed or refreshed after riding across a country but this country brought about so much more. The emotions I felt without a doubt tremendously altered my state of mind and being. I knew having to remain covered the entire time was going to be a bit difficult; it was in fact more difficult than expected. Women go about daily covered head to toe, in 100°+ temperatures – smiling and happy, or so it seems. For some it’s okay to take off the hijab while in the comforts of their own home. But they can only do so if the men in the house are close family members; husband, son or brother. If another man is there, she must remain covered. Her body is a beautiful gift and hers to own. It quite possibly can be the purist and most controlled right they have for themselves. 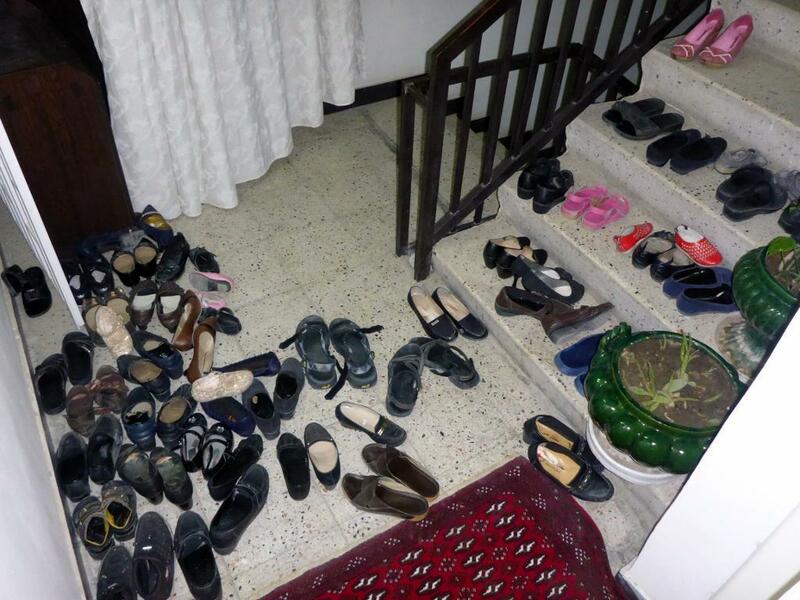 Many times I watched, questioned and mostly always was taken aback by the traditions of Iranian culture. While riding, at one point I broke out in tears. Crying for us, crying for the way things are. It’s the 21st century but these people live in the 12th century… I cried for remembering every time I was told I had to button up my shirt, fix my hijab, cover my hair more, and keep my legs covered. It’s disgusting but yet normal here. In this way I acknowledge Iran for enriching and showing me how to embrace the beauty I have and am. For if it wasn’t for the constant smiles and love from the women I met, I’d quite possibly never come back to this country. I’ve further learned that I won’t stop fighting and I’ll tell the truth, behind the scenes of women’s rights around the world. Which is surprisingly, still, just barely nothing. Sweet and sour pomegranate chicken. Thanks Zohreh! Jocelyn’s Iranian mom, Zohreh along with her daughter Nooshin. Wonderful people. Before we left we visited Ehsan’s friend in the desert complete with pool. A great job of packing. It cost about $25 for each bike. Ehsan, tour leader, Ali from FPA Tours, and son driver Afshin presented us a signed Iranian flag. We in turn signed an American one for them. Party next door. We thought about playing a game of “hide one shoe”! While boarding our flight we watched our bikes being loaded. 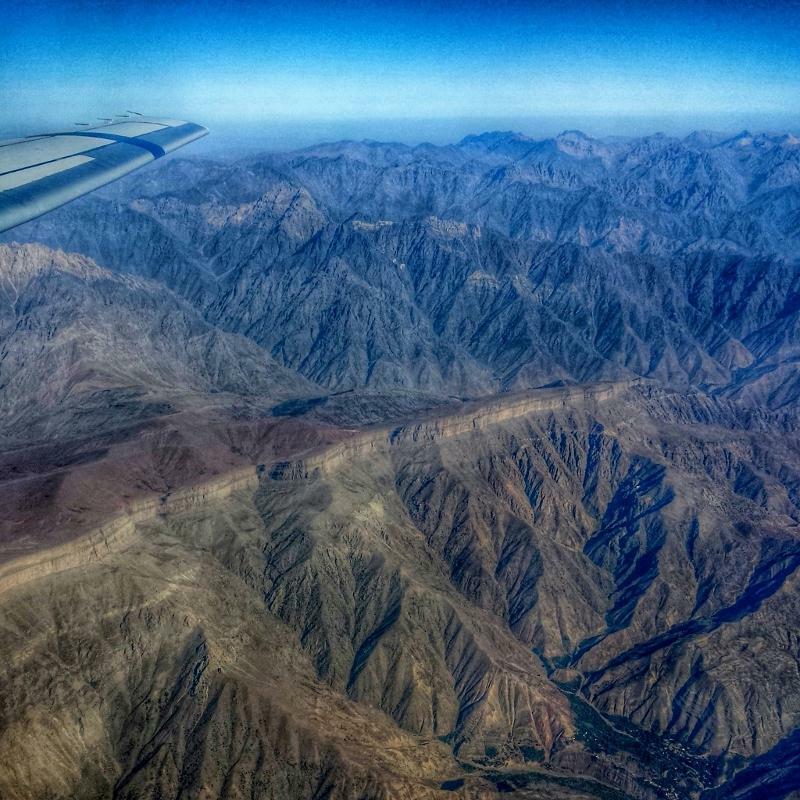 The Turkmenistan mountains between Iran and Tajikistan are impressive. 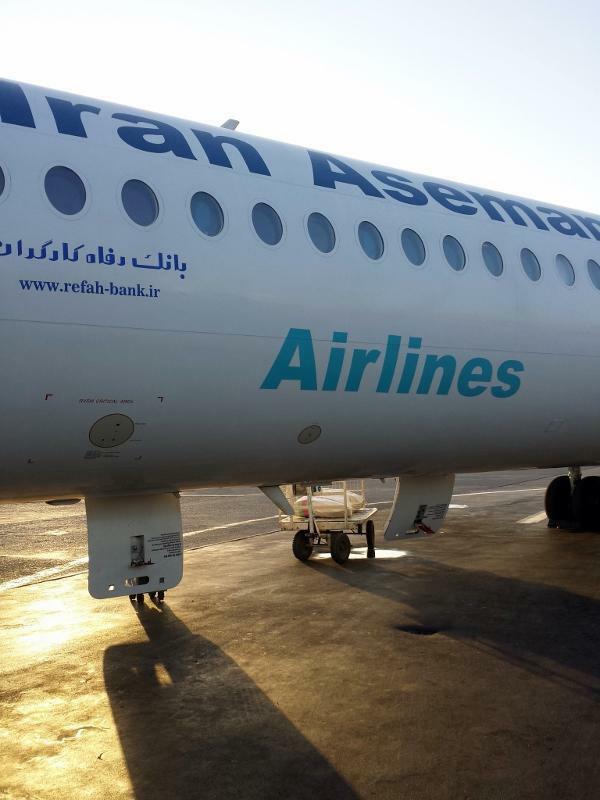 Our bikes and gear arrived safely thanks to Iran Aseman Airlines. 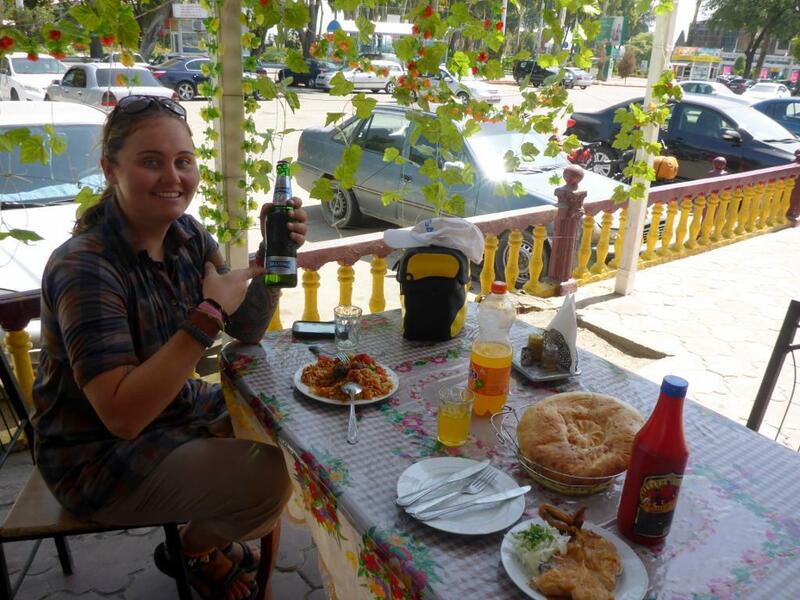 Our first meal in Tajikistan. It is nice to back in a country with choices. 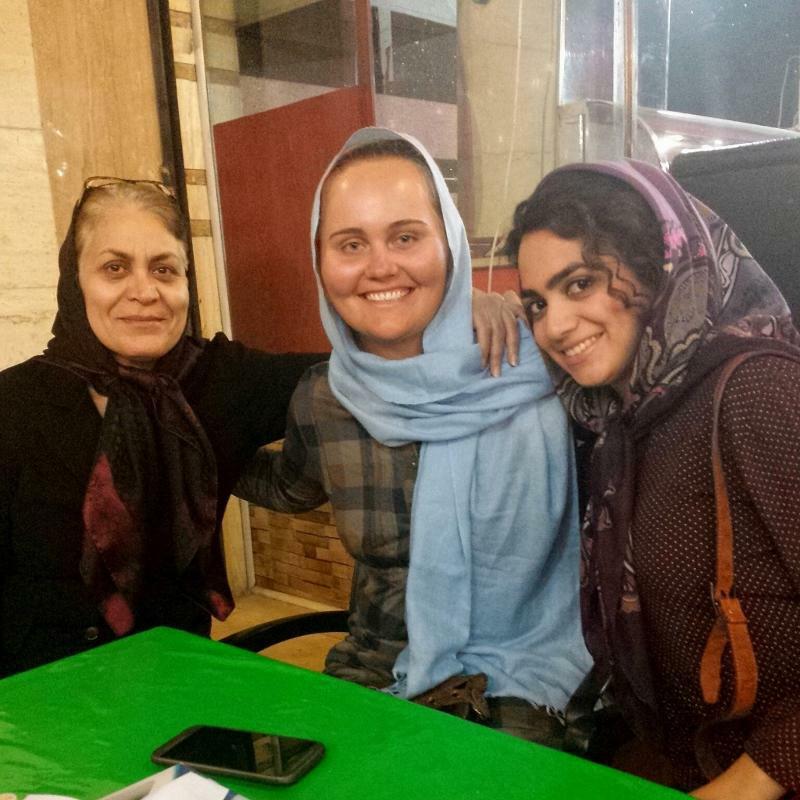 Jocelyn chose to uncover even though this is a Muslim country. We also chose to have an alcoholic beer. 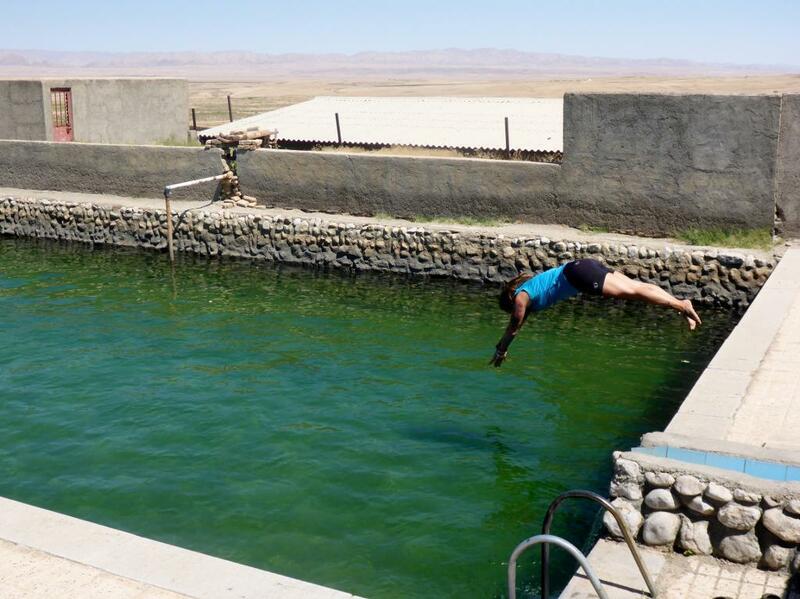 A fine respite from cycling in Tajikistan.